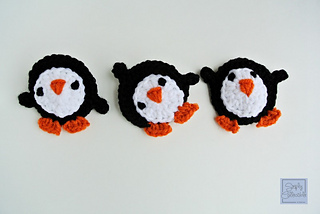 Intermediate experience necessary to complete these adorable Playful Penguin Appliques. Be sure to Queue or Favorite so you are ready. 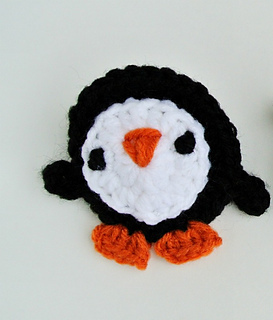 So, I really, really needed to make some penguins for a little “scene” I’m working on which you will see in a couple of weeks. These little guys just crack me up! The placement of each detail gives them so much character and really brings them to life. Make sure to come back and let me know how you use them. First, I’ll be putting them on some hats!